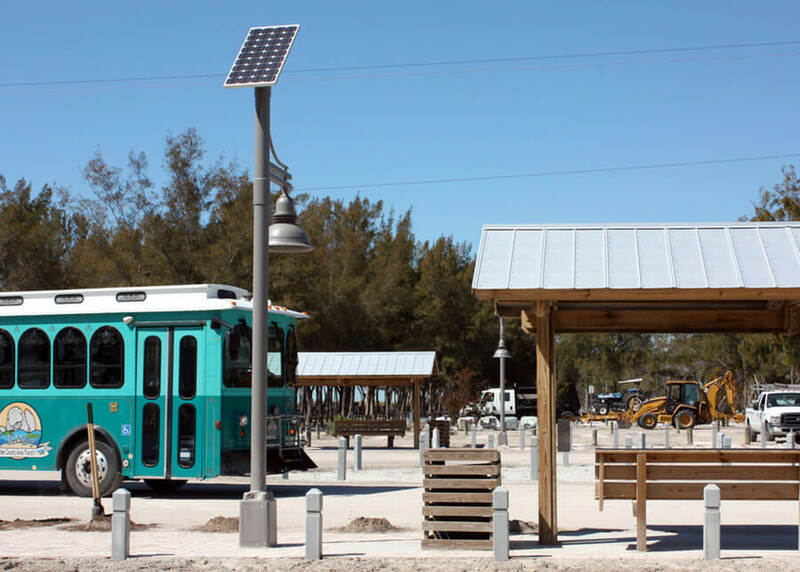 Solar street lighting can be used on highways, roadways, rural roads and neighborhood streets to provide additional security to travelers. Dark streets can be a hazard to pedestrians and vehicle travelers alike. Solar powered LED street lighting systems will provide the needed light without additional trenching or added utility costs. These self contained systems provide the perfect solution to any roadway lighting application. 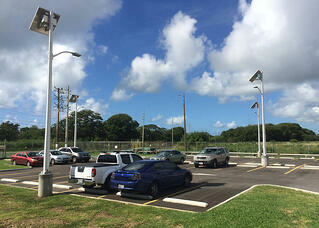 Solar parking lot lighting provides lighting to any size parking lot. The stand alone lighting does not tear up the existing parking lot structures for installation. Dark sky compliant fixtures can also provide uniform lighting without additional light pollution. Since each light is self-contained with its own power system installation is a snap. Set the pole and mount the solar and fixtures and it is operational the same night. Solar security lighting is the perfect solution for perimeters, parks, pathways, boat ramps, storage yards and many other applications. The need for security lighting has increased and solar is a way to provide lighting in areas where existing utility lines do not exist or would cause damage to the surrounding area to trench in. Solar powered security light systems are self contained and are easy to install. Decorative solar lighting can be used for a variety of applications including pathways, neighborhood streets, parking lots, sidewalks, urban settings and so much more. Decorative solar lights provide architecturally pleasant fixtures to meet with the needs of the area. They can be installed practically anywhere, even one power system to multiple fixtures. Solar sign light systems provide lighting to a sign no matter the location without additional trenching tearing up the surrounding area or landscaping. 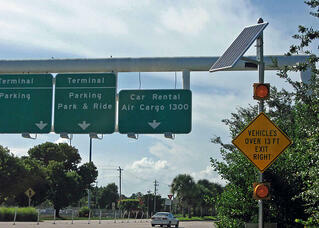 Solar sign lights can even be installed in medians. The solar can mount in a visable location to show a green initiative or in the low level landscape nearby or on the top of the sign structure. 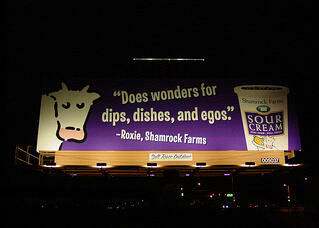 The systems work perfectly with internally illuminated and front lit signs as well as billboards and banner signs. 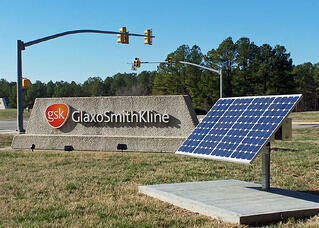 Solar billboard light systems provide lighting to billboards no matter where they are located. These systems can work all night or for a set number of hours while traffic is high. 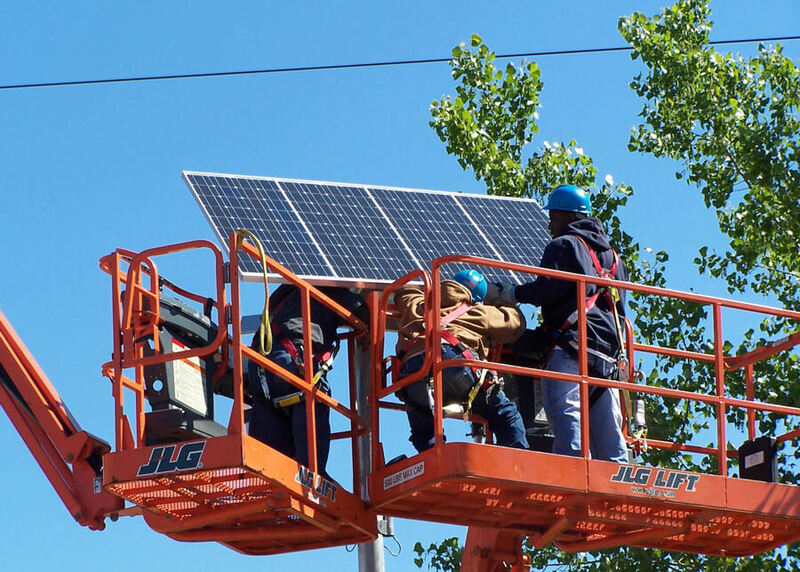 The systems are typically installed on the top of the billboard not only advertising the company on the billboard, but also advertising their green initiative by using clean solar power for their lighting. Pathways require lighting for pedestrians and bikers to provide safety and security at night or early morning. Solar pathway lighting will provide the needed light while not disturbing the surrounding area. Solar landscape lighting allows for showcasing both the landscaping and a green initiative without trenching through all the landscape work or in areas where power cannot be brought to. The Flag Code states it is patriotic to make sure a flag is well illuminated when flying 24 hours a day. 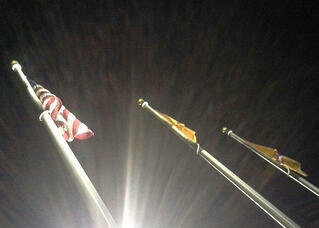 Solar flag pole lighting will be a great way to show your patriotism by providing light to your flag all night. 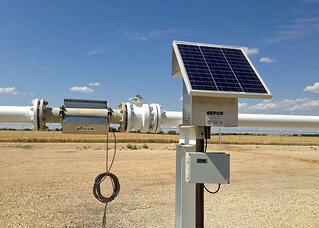 The solar power system can be either mounted on the pole below the flag or on the ground nearby. By providing flawless power to the high power LED flood fixture will showcase your flag without the need of utility lines. 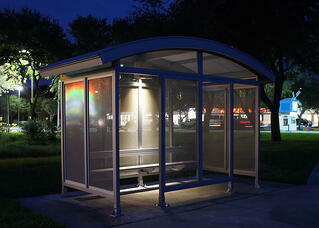 Solar power bus stop lighting can be used for bus stop, bus stop shelters and train stations. These lights provide lighting for safety and information to the people waiting at the bus stop. The lights can be installed in the bus stop as well as illuminate the Ad box and provide power for schedule and map boards. 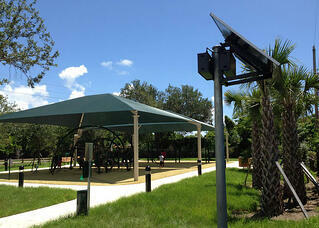 The lights can run from dusk to dawn or be motion activated to keep solar systems lower in cost. 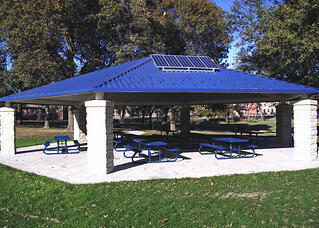 Solar powered building structure lighting can be used for pavilions, remote buildings and mailbox clusters. The lighting provides added safety for residences and communities and can assist to deter theft and other crimes. The solar can be mounted to the roof of the structure with the lights installed inside the building. The power can also light sign cabinets or other applications nearby. Solar warning flasher systems are the perfect solution for traffic warnings, school zones, pedestrian crossings and temporary flashers. The system includes a self-contained solar power system that can power either a single flashing beacon or double wig wag beacons to warn vehicles of oncoming issues or hazards. 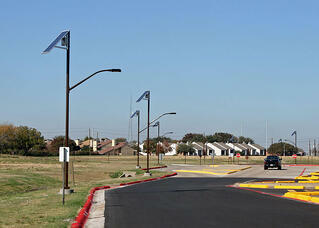 The poles and signs can be included in the solar flasher system. Solar power is becoming the go to power source for most projects. Solar Electric Power Company offers a wide variety of solar power stations for stand alone power applications that offer an environmentally friendly alternative to standard electrical power. Our systems range from 10 Watts to 550 Watts, and can also be integrated together for an even higher power output for larger applications.